Mansfield and Waltham, MA, May 31, 2016 – Mansfield-based HR Knowledge, a leader in providing integrated outsourced HR solutions to clients across diverse industries, today announced a significant expansion of its company through its merger with Waltham-based Resource Navigation, a nationally known computer software company providing software solutions for payroll and other HR needs. The larger, merged company will continue to operate under the name HR Knowledge, and will continue to use its Mansfield location as corporate headquarters, while maintaining the Resource Navigation office space in Waltham as a second location. 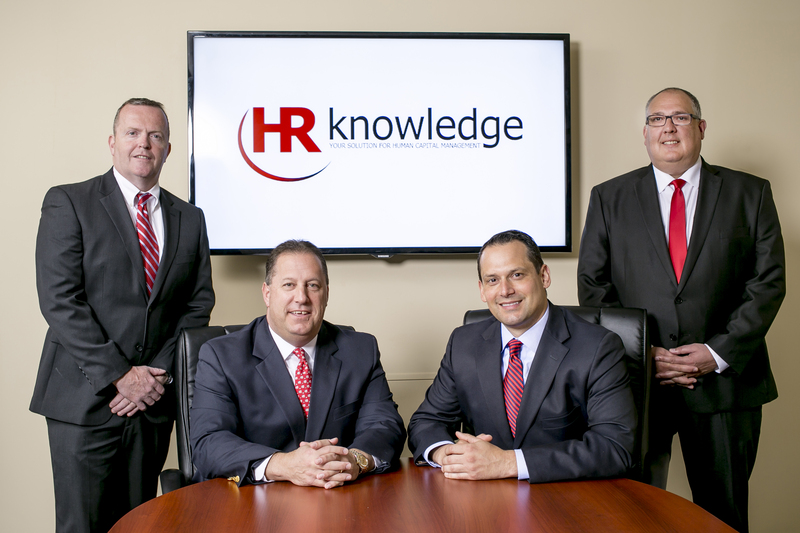 HR Knowledge partners Jeffrey Garr and Kenneth Bettenhauser will be joined in the expanded organization by partners Dan Shaughnessy and Cary Cote, principals at Resource Navigation. Both companies were founded in 2001. Along with its software expertise, Resource Navigation brings to the merger a longstanding reputation as “the company that turns ‘No’ into ‘Yes,’” said Resource Navigation’s Shaughnessy. “With that attitude,” he added, “there’s really no room for failure. Our company has also been heralded as the ’business behind your business’ when it comes to automation,” he said. Founded in 2001, HR Knowledge, Inc. is a privately funded company that provides Integrated Outsourced HR Services tailored to the client’s needs. The company’s full array of human resource offerings includes managed payroll; employee benefits administration; and HR consulting and support services, such as training, compliance, and customized software design and solutions. HR Knowledge’s specialized recruitment service, Hiring Process Management™, handles everything from finding and screening candidates to onboarding new employees. Partnering with HR Knowledge can reduce a company’s administrative costs, minimize legal risk, help find and develop talent, and free companies up to focus on their core business. For additional information, please call (508) 339-1300 or visit www.hrknowledge.com.